Drones - Up to 50% off! Gadgets - Up to 30% off! Toys and Games - Up to 50% off! Watches - Up to 40% off! Lighting - Up to 40% off! Gaming - up to 30% off! Slush Puppie Machine - just £39.99! Pengelly's Sand and Putty - BOGOF! Green Wall Climbing Car - just £9.99! GIVE THEM A DAY TO REMEMBER WITH OUR EXPERIENCE DAYS! If your item is personalised it may take 7 - 10 days to deliver, with shipping costs just £4.95. Priority delivery is not available on this item. All aboard! 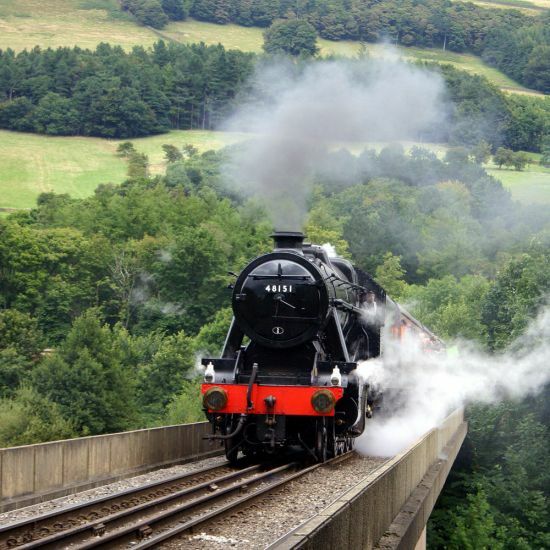 Step back in time and enjoy a tour of the countryside in a classic Steam Train. Renowned for taking passengers here, there and everywhere for nearly 200 years, the Steam Train is a wonderful piece of engineering that must be witnessed to be really appreciated. Upon arrival at one of the seven locations across the UK, all you have to do is swap your voucher for tickets at the ticket office and you and your friend are ready to spend the day riding the rails! Some journeys will be return trips whilst some are all day rover tickets, all of this depends on which location you decide to start from. On some trips you will even get to stop off and explore a new and exciting location or visit the extremely educational Steam Train Museum. Please note: there is no need to book Nene Valley Railway in advance, please check their website for opening times. Selected March to October dates however, some locations are open throughout the year. How long does the activity last? The length varies from 35 minutes to a full day, depending on your chosen location. Minimum age restrictions, under 17s must be accompanied by an adult. This voucher is valid for two people. There will be other people there on the day. You are welcome to bring friends and family although they will have to pay on the day. Derbyshire – Ripley, Lancashire – Bury, Norfolk – Bressingham, Gywnedd – Llanberis, Staffordshire – Stoke-on-Trent, Cambridgeshire – Peterborough, Somerset – Shepton Mallet. Direct dispatch from supplier - £4.95: Your parcel will be sent directly from the manufacturers warehouse. For any personalised products,these will be delivered in 7-10 days to allow time for personalisation. We cannot ship any personalised products to countries other than the UK. If your parcel contains a personalised product, you won't be able to select our standard or express delivery services, or delivery through DPD Pickup or Click & Collect. For more information about these shipping methods, however, please see our FAQs page. Sadly, we cannot offer returns for personalised items (including experiences) unless faulty. For everything else, we offer FREE UK returns for up to 30 days after purchase for unwanted (and unused) non personalised items, and we'll even refund any standard delivery costs too. Because we know many of our products are purchased as gifts, from 1st November to 24th December we extend our policy so you can exchange anything or receive credit via a gift card up to 25th January in the following year. See our FAQs page for full terms and conditions. Should an item be damaged or faulty, please contact us. Our products go through rigorous testing but occasionally a faulty product may slip through our quality control or become damaged in transit. We're interested in making sure you have the best possible experience with us. Need help with your order? Want to talk about a product? © GIFT UNIVERSE LTD 2016 - 2019 All rights reserved.